After your Initial Consultation and Report of Findings appointment, all further visits to the Practice will be for an appointment that is approximately 15 minutes in duration. Please don’t think the brevity of a regular visit lessens its value! With the groundwork laid, we can quickly assess the condition of your spine and nervous system, adjust you and get you on your way. Like a regular workout at the gym, each visit builds on the ones before and a missed appointment can interfere with the momentum necessary to make the needed changes. 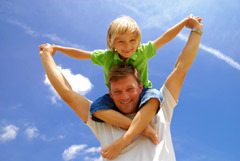 To gain the maximum health benefits from your care, you may also be given exercise and dietary advice. We encourage you to ask lots of questions and we will always have time to make sure you understand your Chiropractic Care Plan. Your progress will be reviewed regularly. We recognise your time is valuable, so we do everything possible to run on time and minimise the impact on your busy lifestyle. Maintain your bodies optimum function with regular Chiropractic Care. 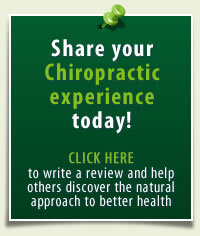 If Chiropractic sounds promising, we encourage you to have a firsthand experience at our Hungerford Practice. It’s easy to get started. Call today.